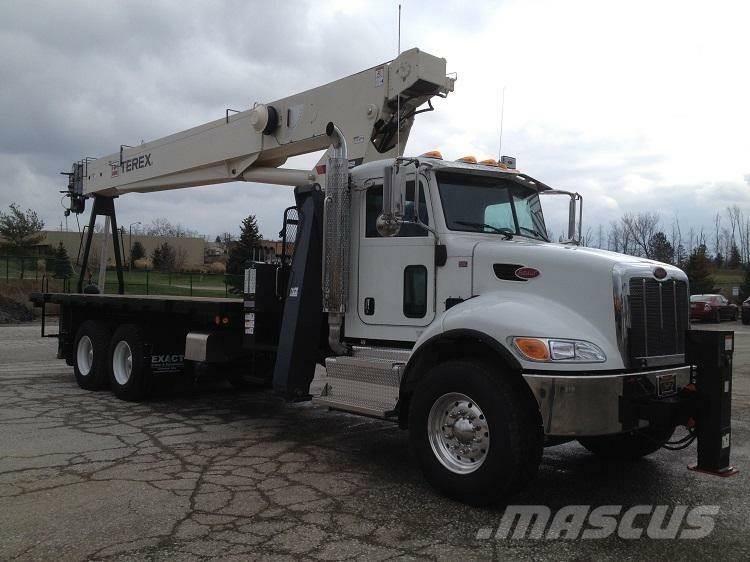 Description: 2019 Peterbilt 348 with Terex BT4792 boom, Cummins 350 HP, Eaton transmission, AC, 60,000# GVWR, Cruise control, power windows, 23.5 ton crane capacity, 92' boom plus 26'-46' jib, front bumper outrigger, Block & Ball, FULL WARRANTY! Call for Quote! New Boom trucks can be spec'd out to your EXACT needs! !